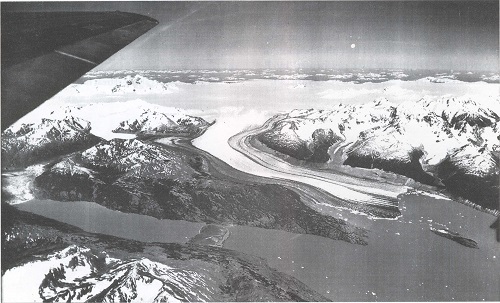 Foto aérea del vuelo TRIMETROGON sobre el glaciar O'Higgins, verano de 1944-1945. 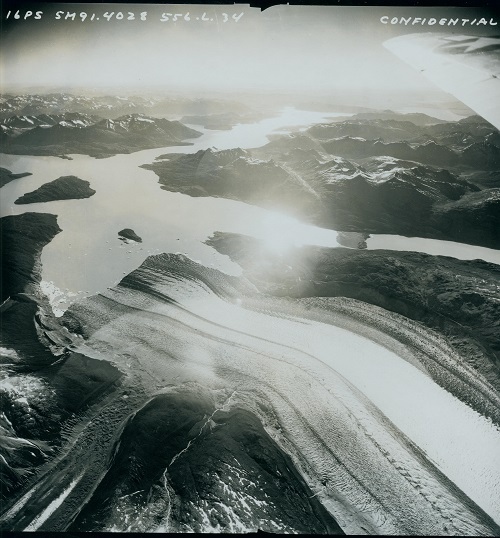 Foto aérea del vuelo TRIMETROGON, vista hacia el oeste, 1944-1945. 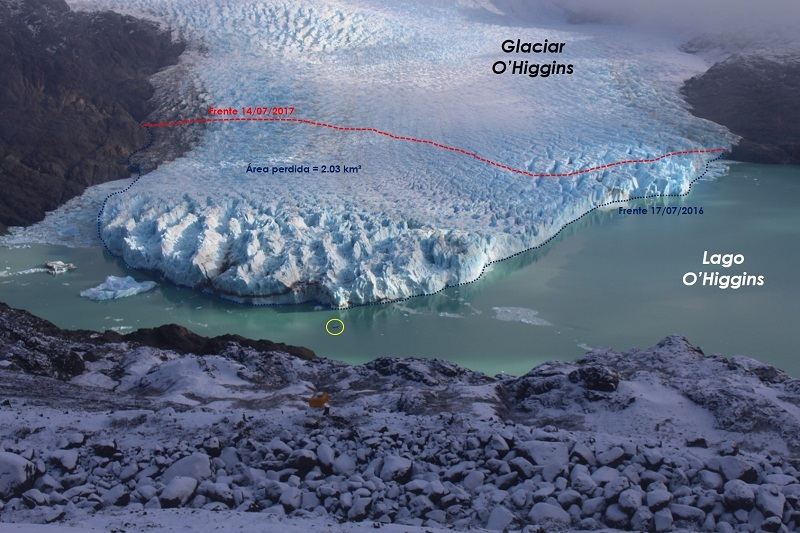 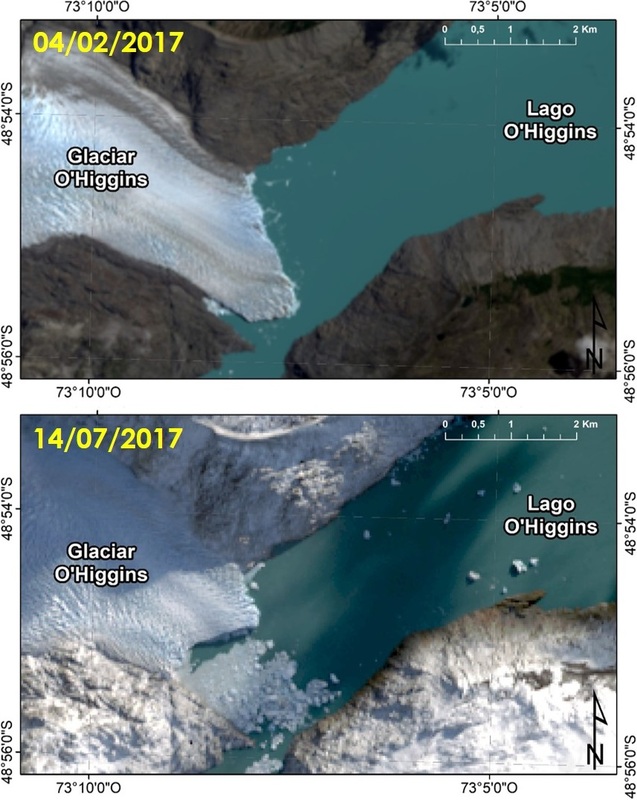 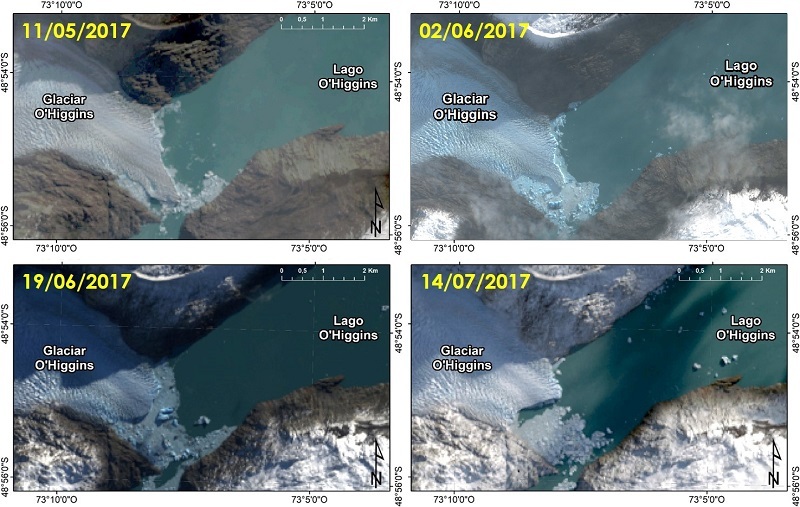 Gourlet, P.; Rignot, E.; Rivera, A. and Casassa, G. (2016) : "Ice thickness of the northern half of the Patagonia Icefields of South America from high-resolution airborne gravity surveys." 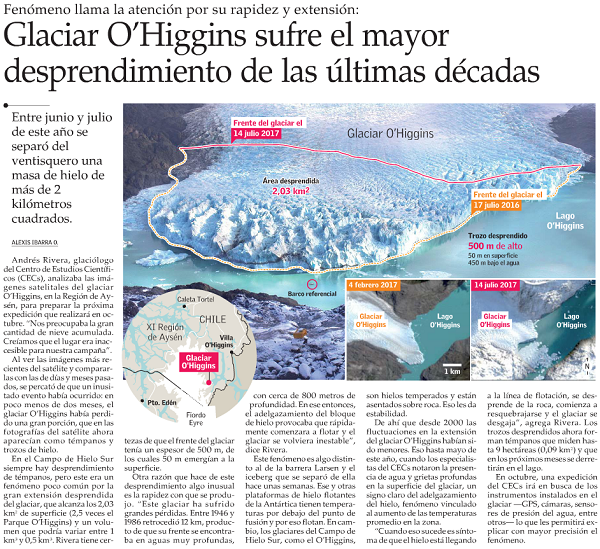 Geophysical Research Letters, 43, 241-249, DOI:10.1002/2015GL066728.